The new Szczecin Philharmonic Hall designed by Barozzi Viega studio of Barcelona stands on the site of the old Konzerthaus. Szczecin Philharmonic Hall is a building with a bold identity that has already become a landmark in the city. Founded in 2004, the Italian/Spanish practice of Barozzi-Veiga, which recently completed Aguilas auditorium in Spain, converted and expanded a former medieval hospital which is now a winery and centre for the promotion of the locale red wine, “Ribera del Duero”. 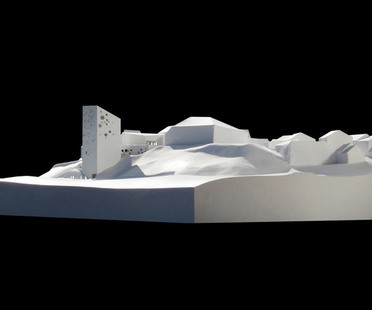 The architects' successful choice of materials and compositional sensibility won the project the Barbara Cappochin Prize for Architecture. 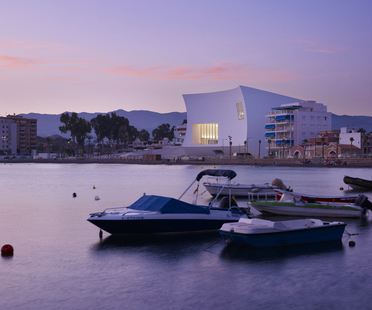 Set in the harbour of Aguilas, the new auditorium and conference centre by Studio Barozzi Veiga takes on its particular character, initially appearing to fit perfectly into its setting. An exemplary work demonstrating the architects' ability to combine the starring role of the landmark with familiarity with the landscape in their formal solution.